I became aware of Awesome John some years ago, when I used to post on The Fender Forum. There is no question about it, Awesome John is...well...Awesome! One of the guys from the Forum, who is a player in New York City wrote that Awesome John is one of the nicest guys he has ever met and John is indeed a master of the guitar. At the time, Awesome John was playing a beautiful custom made Fender Stratocaster, that looked like no other. While Fender was building it, many famous guitarists who saw it in Fender's shop, including Brian May, just had to get their hands on it. For those how have never with Awesome John, he grew up in New York City. In the 1980’s he put together a 3 piece band that played original material in local clubs. 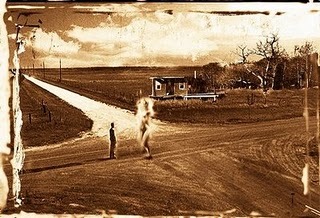 At the time he was known as John Gundez. John is of Turkish heritage. About the same time he was becoming popular in New York music circles, family obligations forced him to return to Turkey. Not being one to give up, he started playing his same original music and same style there and has become a hugely popular performer in Turkey. In addition to periodically returning to New York City to play, John is well known in Europe, has toured the Soviet Union and of course is beloved in Turkey. Not only is John a wonderful guitarist, but he is a super showman as well. His given name is Asim Can Gündüz, but uses the stage name Awesome John, since it sounds similar and is much easier to pronounce. When he sings, he sounds a little like George Benson, but with the high tenor range of Vince Gill. He plays guitar better than Jimi or Eddie Van Halen and he looks a little bit like Fred Flintstone. Awesome John can play shred, jazz, pop and he will amaze you. When John was first mentioned on the Fender Forum, he had put up his beloved pink Custom Shop Fender Stratocaster for sale, in order to help out people from his home in Turkey. The Strat is a beautiful instrument known as the Dream Strat. It is said this guitar cost $70,000 to build. Custom Shop designer and master luthier Gene Baker worked on the instrument and it took him over three years to complete the guitar. The 24 fret neck is custom designed by Sims in the UK. Sims is a company that speciallizes in building necks with light-emitting-diodes as part of the design. This Stratocaster has LED’s on the side of the neck for position markers. The colour of the neck matches the body. In fact, the neck goes through the body. It is adorned with gold-plated Lace Sensor pickups. The hardware likewise is entirely gold plated. This is truly a remarkable and unique instrument. The guitar was purchased by UK rocker and guitar collector Tony McKenzie for an undisclosed price. On McKenzie’s web page, he states the guitar is now owned by “Peter” in the south of England. Currently Awesome John is playing a custom made stratocaster style guitar with no name on the headstock. The guitar has 3 humbucking pickups. The neck and bridge pickups are possibly DiMarzios and have blades instead of pole pieces. The center pickup is a stacked humbucker. Look closely at the video and you will see the Sims neck. The LED's are position markers on the neck and the side of the neck. Recently Awesome John became an endorsee with a fairly new company called Early Bird International. They are the world-wide distributor for a line of guitars called Master Guitars. These guitars are designed by Latvian luthier George Gorodnitski, who has been building guitars for over 35 years. The guitars are currently made in Korea using Gorodnitski’s design and instruction for wood and hardware. 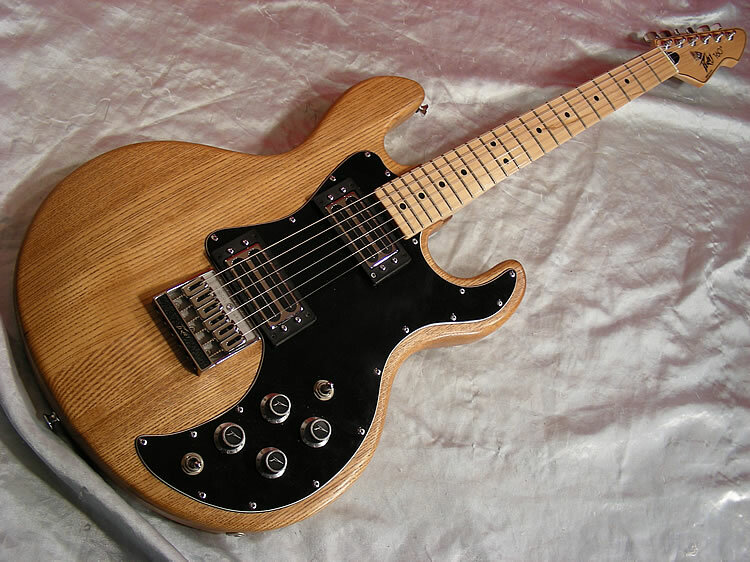 The wood is beautiful and the workmanship is superb and the guitars are awesome. The designs are based on strats, Les Pauls and BC Rich guitars, but all have original features. Awesome John also uses and endorses the StepMax tremolo system for his guitars. This unique device allows you to pull the strings up or down a whole step without pulling the strings down to the fretboard. It is not a floating tremolo, but is self-contained and requires no drilling or routing. It comes with an adjustment that allows you to bend to a specified pitch up or down. The plastic tip for each of the StepMax tremolos is uniquely designed. In addition to being a superb player, Awesome John does charity work and service to the needy within his country. John is also a popular talk show host on TV and radio in Istanbul. He is a Muslim, but one of his best friends is Rabbi Jay Levy aka the Rock and Roll Rabbi. Levy grew up in New York City and played in studio bands before he took up his religious career. Levy met Awesome John at a street booth in New York City where John was selling Turkish cymbals and drums. Their mutual love for music has made them fast friends. I heard a story on the radio tonight about a stolen guitar. The victim’s friend made a statement, “Stealing a guitar is like kidnapping.” I could not agree more. A fellow that goes by the name of Maurice and lives in Vancouver, British Columbia was recently a victim of the theft of a number of guitar and amplifiers this past June 5th. Despite losing some very nice guitars and his sound rack, the one guitar that he wants back the most is his 1953 Les Paul. He purchased this guitar as a 18 year old kid and has owned it for 43 years. It has a special place in his heart. The features on this instrument are unusual and somewhat modified. The serial number is 3 0621 which is stamped on the back of the headstock. It was an original gold top Les Paul, but was sent back to Gibson to be retrofitted with an ABR-1 bridge and stop tailpiece, instead of the trapeze model that came with the guitar. The original P-90’s were changed to humbuckers with black bobbins. There are no metal pickup covers. The neck has been thinned. The back and sides were refinished. The old plastic tipped tuners were replaced with Gibson gold plated tuners. The original plastic parts are now made of brass, including a brass switch plate, back plate and cavity covers. These were custom made by his brother-in-law, who was a jeweler until his death. Perhaps the most unusual feature is the guitars colour. Maurice indicated it has a greenish-gold top like none other he has seen. He indicated this is the finish of the guitar when he purchased it. In an effort to recoup his instrument, he has posted a Facebook page asking for its return. He has also put up an ad on Craigslist in hopes of getting back his guitar. "It's my most personal possession, and I have always planned for my son to have it one day. By the way, the other Mesa Boogie Dual Rectifier head you took was his. You haven't ripped off a guitar, you've ripped off my life and my spirit immeasurably by taking away the tools of the pursuit of my passion. I've worked extremely hard for my whole life to earn my right to do so, and you took it all away in an hour or two. You've also ripped off my son, now, and in the future. I don't have the money to replace the gear, so it's just gone. Just give it back - NO QUESTIONS ASKED. PLEASE"
There is another ad on Craigslist that is advertising the sale of a 1953 Les Paul with the same description as Maurice’s guitar. The police have been made aware of this advertisement. They are not sure if it is for real or just a prank. Below are some pictures of the other stolen equipment. Here is a video from a blogger named Zennie62. Robert Johnson was the consummate bluesman. His songs and lifestyle influenced countless blues players. 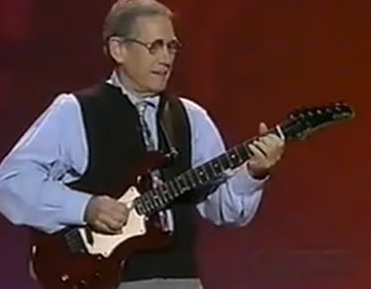 Even today, guitar players/singers attempt to copy his method of singing and playing. Johnson is the blues player that claimed he sold his soul to the devil in exchange for being the greatest blues player. 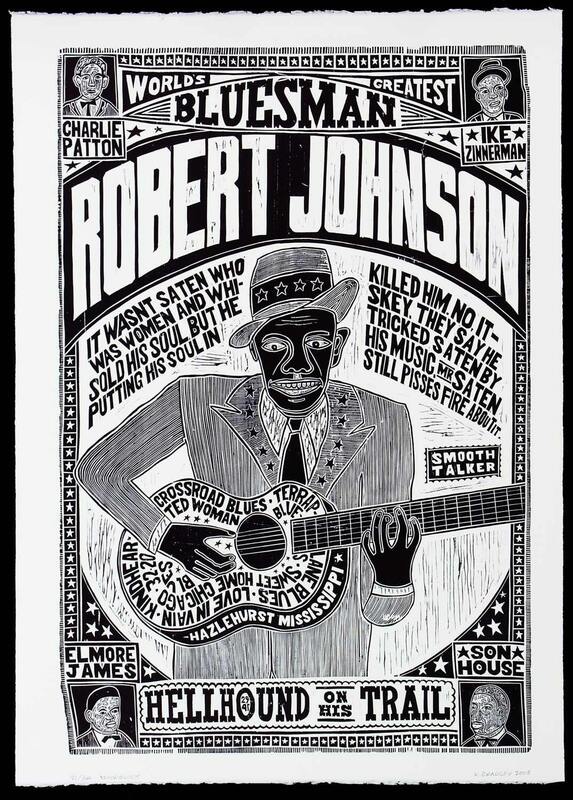 Legend has it that as a young man living on a plantation in rural Mississippi, Robert Johnson was branded with a burning desire to become a great blues musician. He was "instructed" to take his guitar to a crossroad near Dockery Plantation at midnight. There a large black man (the Devil) who took the guitar and tuned it met him. The "Devil" played a few songs and then returned the guitar to Johnson, giving him mastery of the instrument. The site of the meeting is the crossroads of Highway 61 and Highway 49 in Clarksdale Mississippi. Decades ago, Highway 61 was re-routed, so these roads no longer cross in the same place as Johnson claimed the meeting took place. Whether or not this actually happened, I’ll leave up to you. 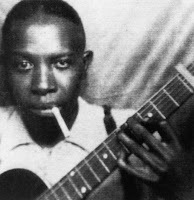 However, Robert Johnson skill as a guitar player, singer, and blues man advanced very quickly. Johnson choice of guitar had a lot to do with price and availability. 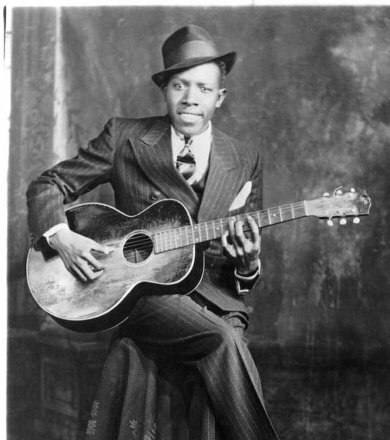 His friend and companion, Johnny Shines, claimed that Johnson favored a 14-fret Kalamazoo flat top and sometimes played a Stella. Both were selling for around $12 new at the time. 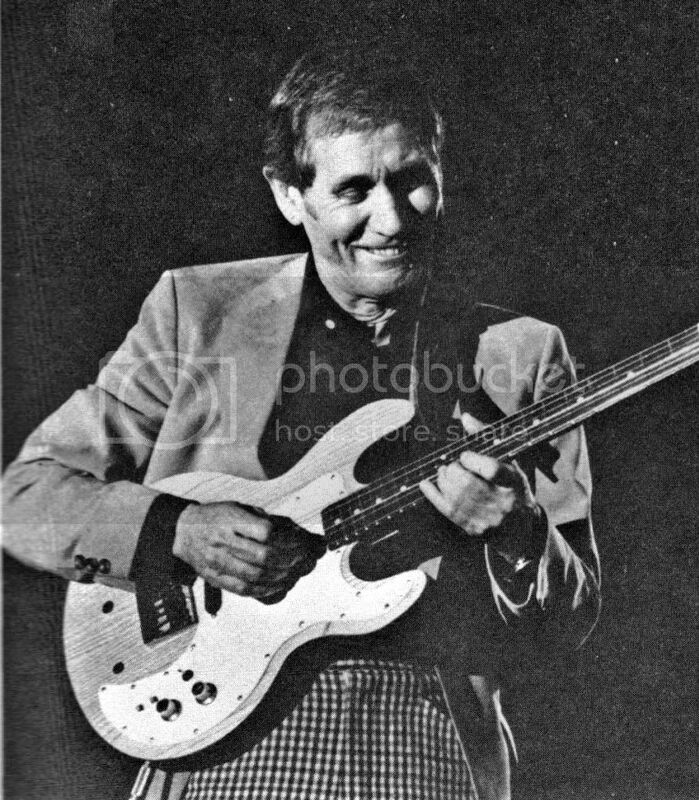 In his most recognized photo, his left hand is positioned to play an A7th barre chord on a Gibson L-1. Johnson is wearing his nephew’s suit. The Gibson L-1 that Johnson is photographed with was offered for sale in 2006. The asking price was 6 million dollars. 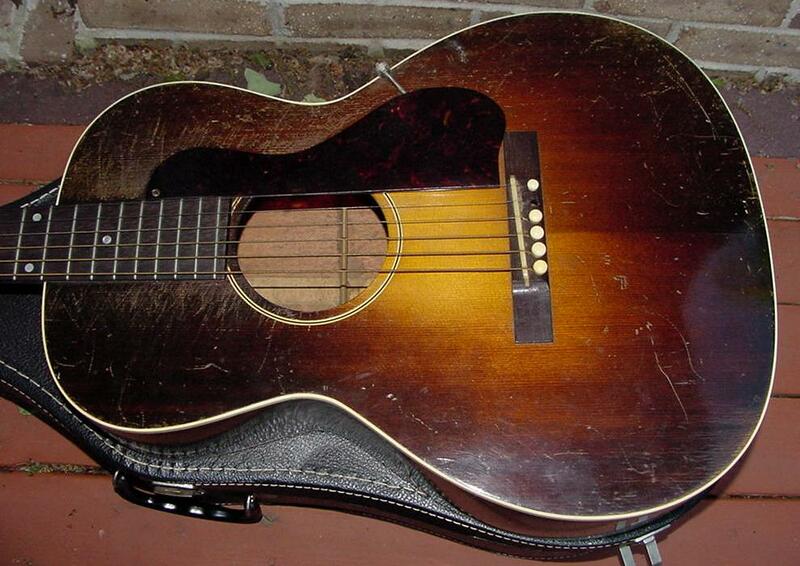 Gibson introduced the flat top L-1 in 1926. Before that, they had made an arched top version of the L-1 with a round soundhole, as early as 1918. The most unusual feature of the L-1 is it’s elongated lower bout. The 13 ½ inch body was singly bound both on the top and bottom sides with ivoroid binding. The top, made of 2-piece quarter-sawn red spruce, placed on a 2-piece quarter-sawn maple back and maple sides came with a very distinctive narrow waist. The top came with an amber stain. The back and sides had a tobacco brown stain applied. The back was arched. The C-shaped, mahogany neck was fat, by today’s standards. However, this may have been due to the guitar lacking a truss rod. 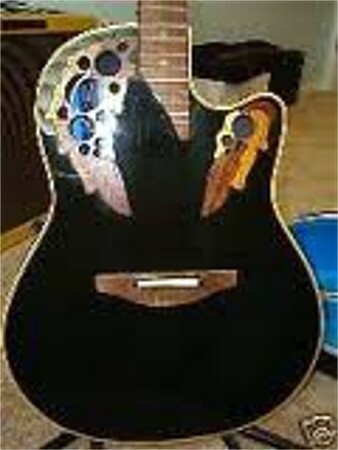 The unbound fingerboard and bridge plate were made of solid ebony and had pearl dots on the 5th, 7th, and 9th positions. The thin bracing was an unusual variation of A bracing, known as H bracing. The 3-on-a-side tuners came capped with plastic tip buttons. The neck joined the body at the 12th fret. The sound of this instrument emphasized its treble and midrange. This was perfect for blues or finger-style playing. The L-1 has the distinction of being Gibson’s first flat top instrument. Gibson reintroduced the guitar recently, but made a few changes. The new L-1’s top is made of solid AA grade Sitka Spruce. The back and sides are Honduran mahogany. The neck is maple with an ebony fretboard that is marked the same as the original. The headstock on the new model comes with a mother-of-pearl Gibson logo, whereas the original model had a painted logo. Did you know that Pignose Industries, the company that makes that cool little amplifier, was originally started by Chicago guitarist Terry Kath and Chicago’s record producer Jimmy Guercio in 1972? 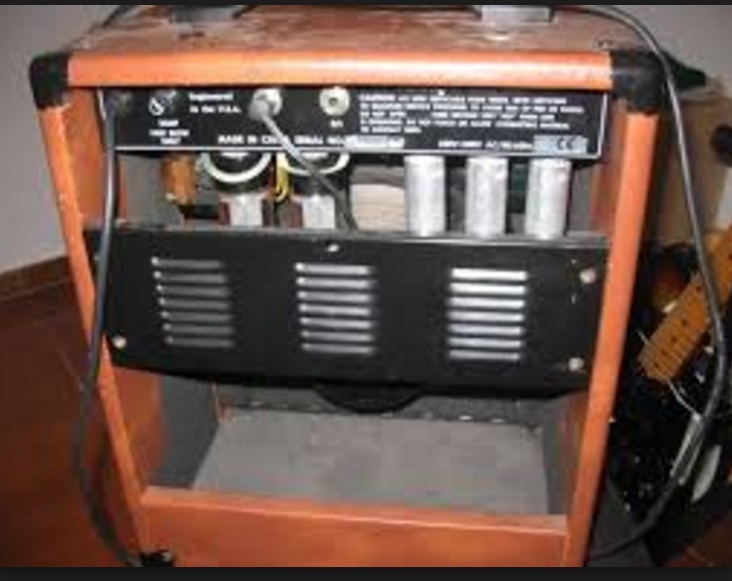 The beloved Pignose 7-100 amplifier, was conceived, invented, and patented by Richard Elund and Wayne Kimbell. They built a low watt amplifier inside a wooden English Leather Cologne box that distorted like all get out. 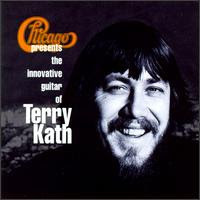 Impressed with this amp, Terry Kath took their idea to the Summer NAMM show in 1973. In the style of P.T. Barnum, Kath marketed it as The Legendary Pignose Amplifier. A star was born. The first year sales were over 50,000 units. 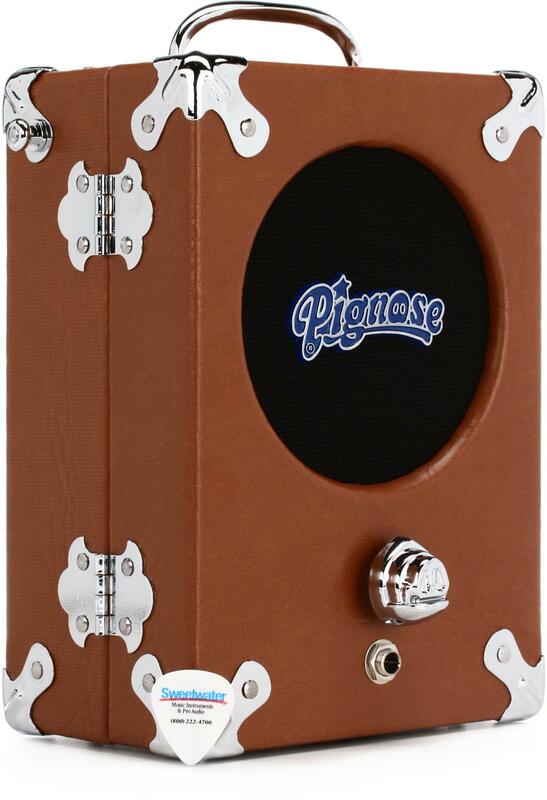 Pignose was THE first portable, battery-powered amplifier made specifically for guitar. It sounded like an over-driven Marshall 50 stack, but could be put on a guitar strap and slung over your shoulder. The amp had that same gritty, dirty distortion of refrigerator-sized amps, but only pumped out 3 to 5 watts and weighed in at around 5 pounds! The Pignose represented The Counter-Culture thumbing their nose at the status quo of the day. Namely, when it comes to amplifiers, bigger is better. The popularity of the Pignose soared. It was cute, with its one pig nose volume knob and tan vinyl covering. In addition, it was not expensive. It was originally priced at $79.95. Due to manufacturing costs, the price jumped to $159.95. However, it is once again selling for $79.95. Clapton, Joe Walsh, Zappa, and Led Zeppelin used the Piggy for recording. The Eagles joked about having a wall of Pignose amps in concert. The origin of the name is questionable and may have its origin in a drug-induced conversation. The amp looked like a small valise. The Pignose was a 5” speaker, mounted in a hinged box that contained a solid-state battery powered amplifier and six AA batteries. The box can be used for storage as well. The only control is for volume; however, tone can be controlled by opening or closing the box. When the Pignose is un-hinged, the tone turns into screaming treble. 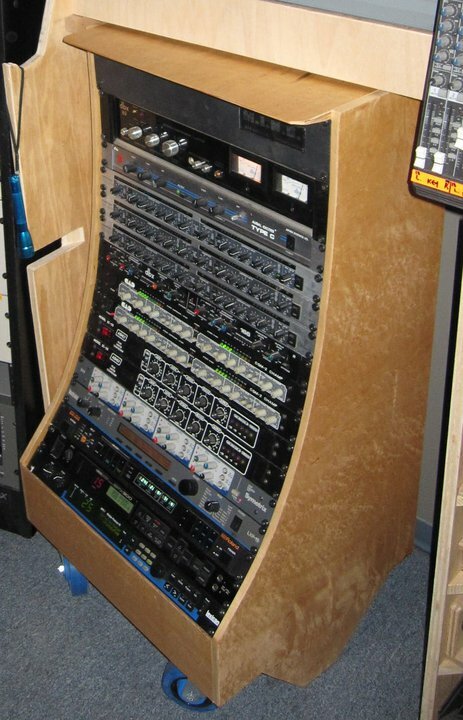 A closed cabinet provides more midrange and bass. By having a friend rapidly open and close the amp, it can produce a wah-wah type sound. The amp comes with a pre-amp output jack on the back allowing it to overdrive a larger amp. To emphasize the pig-nose joke, a molded metal knob that bore (or boar) resemblance to a pig’s snout was used as a volume control. 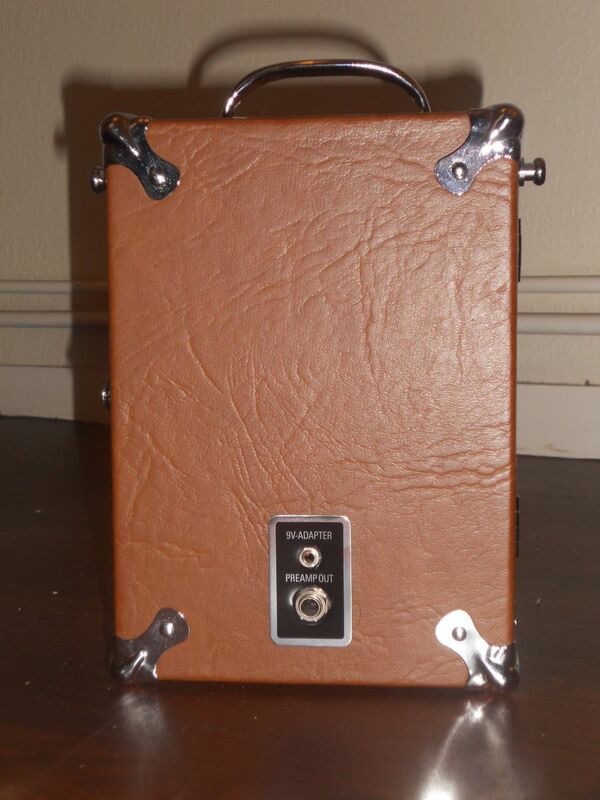 The amp was covered in tan vinyl to give it the appearance of pigskin. By 1974, Chicago’s accountant purchased the rights to Pignose Industries and held on until ownership passed. Elund and Kimbell are also responsible for the design of two other Pignose Industries products. These are the Hog 20 guitar amp and the Hog 30 bass guitar amp. Both are powered with rechargeable batteries. I am not certain who designed the Pignose 30/60 amplifier. 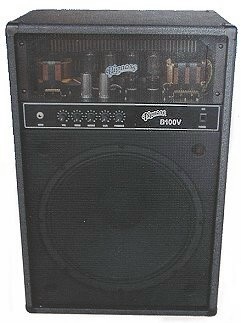 This was Pignose Industries first attempt at a larger amplifier, which was offered for sale in around 1977. The 30/60 put out a respectable 30 watts RMS and 60 watts peak power into a 12” Eminence speaker. The advertising states it goes from clean to dirty. Most reviews emphasize its distorted tone. In 1997, Pignose Industries introduced a tube amplifier, The Pignose G40V. 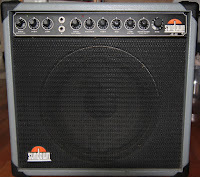 It was designed by Dennis Kager to have a similar schematic to a Fender Bassman. This amplifier was among the first to be manufactured in China, perhaps accounting for some criticisms and lack of acceptance. As of now, many guitar and bass amplifiers that carry famous USA and European trade names are being exported from China and have gained acceptance. This was not true in 1997. 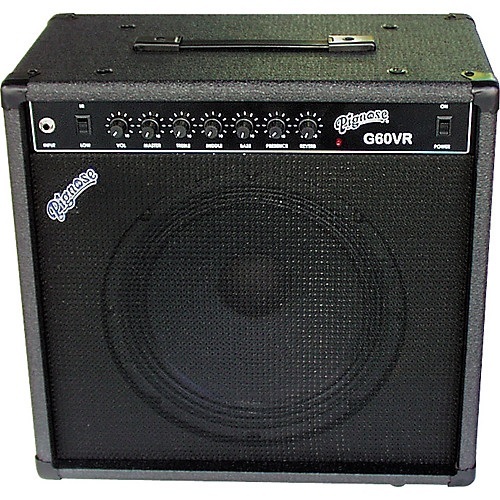 The G40V had a tube compliment of twin 6L6 power tubes and three 12AX7 preamp tubes. 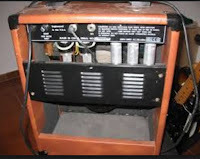 Like many Fender amplifiers, the rectifier was solid state. It cranked out a very loud, 40 watts. Unlike the original tweed Bassman, the G40V came with a preamp volume and master volume control. Like the Bassman, it had treble, middle, bass and presence potentioments. There was no standby switch. The stock 8 ohm, 10” speaker was rated at 80 watts. The tube sockets were ceramic, which was a very unusual feature for a low priced amplifier. 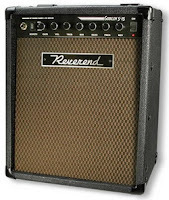 The amp was originally offered at $199 and as the years went on the price got up to $329. This was all housed in a 14” X 9” X 11” package that weighed around 28 lbs. When played through a larger speaker cabinet, the bass and midrange perk up and gave this amp some very nice bottom. It had speaker jacks for 4 or 8 ohms. Interestingly, the cabinet is very similar in size and shape to the one used for the 30/60. A few years later Pignose furthered their adventure in tube amps by introducing the G60VR (60 watt valve with reverb) and the B100V (100 watt bass tube amplifier). I have never seen the B100V. I assume very few were manufactured. The G60VR was an improvement over the 40-watt model. It came with a 12” speaker, which provided more headroom. The tube compliment was similar, except it had an additional 12AX7 preamp tube. The reverb was a plus. The tolex covering was black and thicker than the tan vinyl on the G40V. The B100V was 100 watts with a 15" speaker. 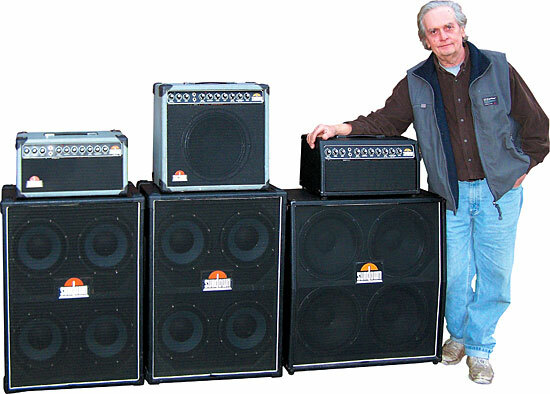 Pignose enlisted Dennis Kager to design all these amplifiers. Kager is a legend in the industry. As a young man, he hooked up with Ampeg and Jess Oliver in designing and building Ampeg amplifiers. 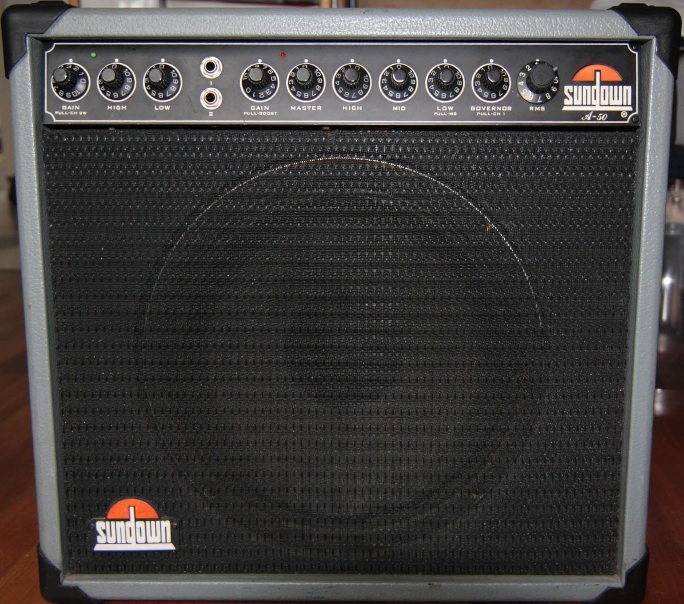 Kager launched his own brand called Sundown Amplifiers, which had a brief following. 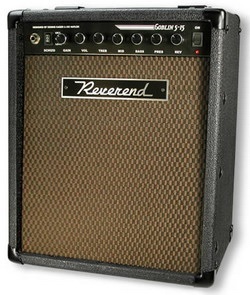 He was the force behind Reverend Amps. 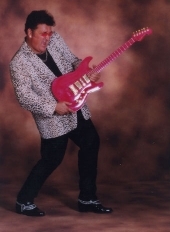 He has consulted for Fender, Yamaha, Mesa Boogie, Tone King, and Soldano. Kager runs an electronic repair company in New Jersey known as Central Jersey Music Service. If you check out the picture of him you may note that one of his small Sundown combo amps looks surprisingly similar to the Pignose G40V and an amp that Reverend Guitars used to offer. When my Pignose G40V was experiencing an unusual hum, my local tech spoke directly with Mr. Kager who resolved the problem. He was very impressed to speak to the man that modified amplifiers for the Allman Brothers, Bruce Springsteen, Peter Frampton, Rick Derringer and many others. Pignose Industries venture into tube amplification lasted for about ten years. Their corporate action dictated they concern themselves only with solid-state amplifiers. 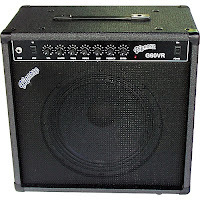 They have since offered a few new models of guitar amplifiers; some housed in a cabinets very similar to the G40V. The original Legendary Pignose 7-100 is still the company’s mainstay. Over the years, it has indeed become legendary. 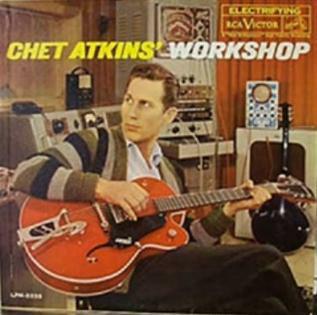 Chet Atkins is best associated with Gretsch guitars. 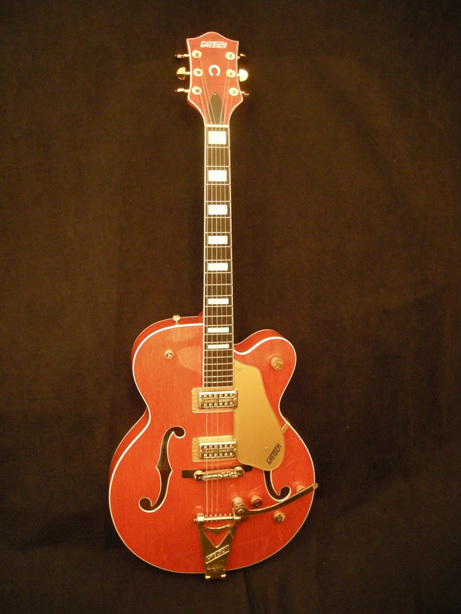 Early on, he started playing the Gretsch 6120, which evolved to the Chet Atkins model. Or I should say models, since they kept changing. It is a fact that Chet’s input went into most of his guitars with Gretsch and later with Gibson. Chet was not well known for playing a solidbody guitar, with the exception of his nylon string model, the Gibson CEC. However he did use a couple of solidbody instruments on several recordings and in a few concerts. The original solidbody was referred to as The Peaver. Chet’s accompanist and guitar tech was Paul Yandell. 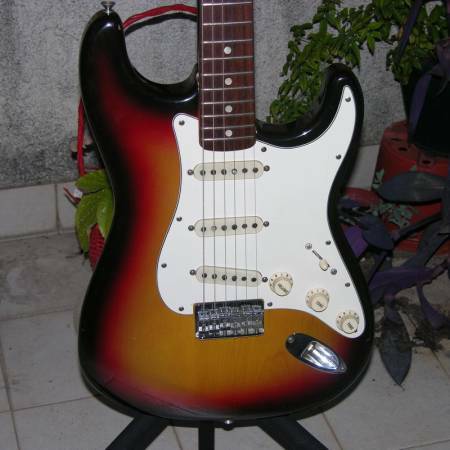 Paul took a Peavey T-60 guitar and removed the neck, replacing it with a Fender Stratocaster neck. Paul then rewired the guitar, installing two EMG pickups and a phase switch. Chet named this guitar, The Peaver. The pickup placement is unique. For anyone who has tried to get harmonic notes on a Stratocaster, you may have found this difficult if using the neck pickup. The placement of the neck pickup is under a section of the string that can be divided to create a harmonic tone. Therefore, this placement cancels the tone out. To resolve this, Yandell installed a middle and bridge pickup. Paul made one for himself, but his has twin humbucking pickups. Chet signed on with Gibson guitars, due to the fact that Gretsch had stopped making guitars. 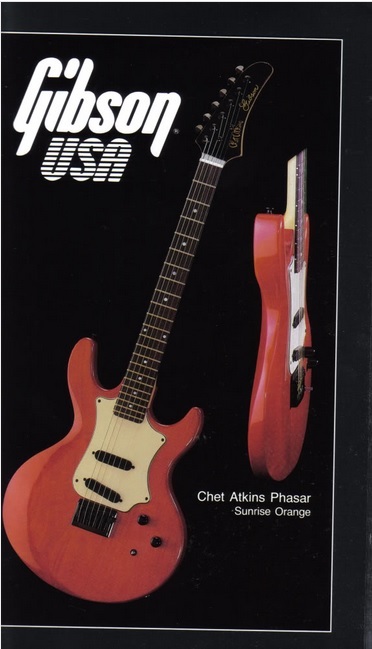 Gibson built a fancy model for Chet called the CGP Phasor, which was based on The Peaver. Not much is known about this instrument. I recall seeing Chet play it on Nashville Now. He later played it in a concert with Mark Knopler. A long time ago I asked Paul Yandell about it on the Chet Atkins message board. All he said was it had two single coil pickups and a phasing switch. Chet is rarely seen with this model. 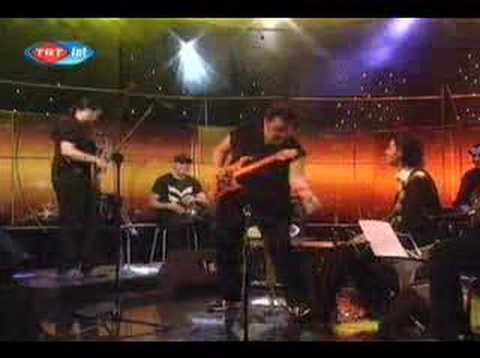 The video below shows him playing The Peaver and the Phasor. It was briefly offered in the 1988 Gibson catalog.